Suing for Age Discrimination - How to file a claim for age discrimination? How old do I need to be to sue for age discrimination? Did my employer discriminate against me based on my age? Have you suffered any form of mistreatment in the workplace? If your employer has subjected you to age discrimination, you might have grounds to file a claim. Under certain circumstances, you might even have grounds to receive compensation. If you would like to explore the possibility of filing a claim against your employer, do not hesitate to seek legal assistance as soon as possible. The employment attorneys at California Labor Law Employment Attorneys Group have many years of experience handling a variety of claims. Our labor attorneys have successfully handled many age discrimination claims against even the most recognized of employers. If you would like the employment lawyers at California Labor Law Employment Attorneys Group to handle your age discrimination claim and fight for your right to receive compensation, do not hesitate to contact our firm today. Age discrimination occurs when an employer treats an employee unfairly or makes an employment decision on the basis of an employees’ age. Although it is illegal for employers to discriminate against their employees or make employment decisions on the basis of age (only if the employee is above a certain age), many employers consistently mistreat their employees solely due to their age. Your employer demotes you from your current position to give the position to a younger, less qualified employee simply to due to the so-called need to keep the company’s image young. Your employer terminates you after claiming that you are no longer young enough to be trusted with the tasks required of your job. Your employer begins assigning you menial and undesirable tasks as a plan to make you quit on your own because you are considered too old to keep working in the office. For more information about age discrimination, do not hesitate to contact the experts at California Labor Law Employment Attorneys Group as soon as possible. Our knowledgeable employment attorneys are ready to provide you with all the information that you need to understand your rights after being subject to age discrimination in your workplace. How Old Do I Need to be to Sue for Age Discrimination? The answer to this question is simple; only employees that are 40 or older have the right to sue for age discrimination. Therefore, you have to be at least 40 years old to file an age discrimination claim. Can’t people younger than 40 years of age also suffer age discrimination? Without a doubt, people of all ages can suffer age discrimination. However, the law only protects people over the age of 40. That means that even if you were treated unfairly based on your age (if you are 39 or younger), you will not have grounds to file a discrimination claim. If you are 40 or older – and suffered workplace discrimination o the basis of your age – you can sue for age discrimination. You must seek legal assistance as soon as possible. The knowledgeable age discrimination attorneys at California Labor Law Employment Attorneys Group are ready to provide you with all the information that you need for your claim. Without a doubt, age discrimination is against the law. Both the Age Discrimination in Employment Act (ADEA) and the Fair Employment and Housing Act (FEHA) protect employees from age discrimination on the federal and state (California) levels. When there is age discrimination in the workplace – specifically when the age discrimination is severe enough that it affects the employee in many ways – employees can file charges with employment agencies. On the federal level, employees can file charges through the Equal Employment Opportunity Commission (EEOC). On the state level, employees can file charges through the Department of Fair Employment and Housing (state/California). These employment agencies investigate your claim and take action against your employer if your claim is found to be valid. If you would like to learn more about the EEOC, the DFEH, and how these employment agencies could help you if you suffer age discrimination in the workplace, do not hesitate to contact our law firm as soon as possible. Do you have the right to file a lawsuit and receive compensation? 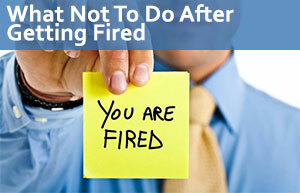 The age discrimination that you suffered in the workplace can be grounds to file a lawsuit. However, employees could only pursue civil lawsuits against their employers after receiving the right to sue from the EEOC or DFEH – whichever employment agency with which you initially fired your charge. Lost income – for the income that was lost (including back pay and front pay) as a direct result of the age discrimination that you suffered. Lost benefits – for the benefits (health insurance, stock options, etc.) that were lost directly due to the age discrimination suffered. Pain and suffering – for the mental and emotional distress directly caused by age discrimination suffered in the workplace. Punitive damage – for punishment to the defendant. For an in-depth discussion of the type and amount of compensation that you might be eligible to recover if you suffered age discrimination in the workplace, do not hesitate to contact our knowledgeable employment attorneys at California Labor Law Employment Attorneys Group as soon as possible. Our lawyers are ready to help you understand your right to receive compensation. You could be certain that our expert age discrimination lawyers are ready to fight for your right to recover the maximum amount of compensation available for your claim. Do not hesitate to contact our law firm at your earliest convenience. Do I Need a Lawyer for Age Discrimination? After being subject to age discrimination in the workplace, you might have many questions and concerns. Specifically, you might have many thoughts about whether you will need the assistance of an age discrimination attorney. Without a doubt, an age discrimination attorney could provide you with the guidance necessary to reach a successful outcome for your current situation. If you are in need of an age discrimination attorney, do not hesitate to contact the experts at California Labor Law Employment Attorneys Group as soon as possible. California Labor Law Employment Attorneys Group is an employment law firm with many years of experience handling a variety of labor law claims – such as age discrimination. If you were subject to age discrimination in any way, you could be certain that our attorneys are ready to provide you with all the information that you need to take action against your employer. To discuss your current situation with our lawyers, contact our firm and request to speak with our lawyers. – How to Prove Age Discrimination in the Workplace? To remain accessible to as many victimized employees as possible our law firm offers free legal services. When you contact our law firm, you could benefit from our free consultations and free second opinions. Our free consultations and free second opinions ensure that all our clients have access to the legal information that they need. During our free consultations and free second opinions, our employment attorneys will answer all your questions and address all your concerns. It does not matter whether you have already started your claim with the assistance of an incompetent attorney or if you are just considering the possibility of starting your claim; you could trust that our experts are ready to provide you with the necessary guidance. Whether you would like to benefit from our free consultations or free second opinions, do not hesitate to contact our law firm as soon as possible to request to speak with our lawyers. The free consultations and free second opinions briefly mentioned above are available as part of our Zero-Fee guarantee. Our Zero-Fee guarantee ensures that our clients never have to worry about having to pay any upfront legal fees for any of our services. Our employment law firm is also based on a strict contingency structure, meaning that you will not have to pay anything until your claim reaches a successful outcome. For more information about age discrimination and your right to take action against your employer, do not hesitate to contact our employment attorneys today.